Trousers by PETER HAHN in pull-on style. 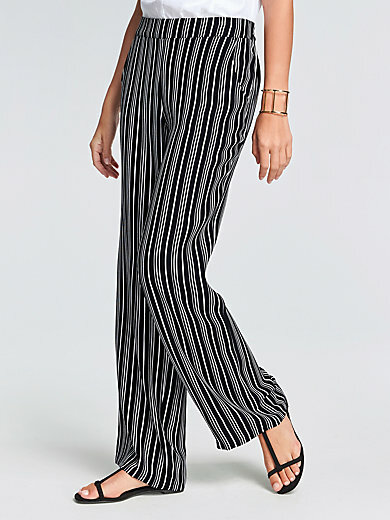 These Marlene trousers are made of summery, beautifully fluid woven viscose with flattering vertical stripes – also perfect for elegant outfits. Smooth waistband and 2 slash pockets on the front. Elasticated at the back. 100% viscose. Inside leg length in regular sizes approx. 32ins., in short sizes approx. 31ins. Ankle width approx. 21ins. The trousers are machine washable.